For the last 12 years, ever since Hannah was born in fact, I’ve gone to the effort of preparing a year end music mix. What’s been nice about this tradition is that I only populate the mix with songs that have somehow “informed” the year. For instance, songs might have gotten a lot of airplay because someone would repeatedly ask for it (This would pertain to “Hurt Me Tomorrow” for Ben, “Big Blue Wave” for Hannah, or that Carolina Liar song for Kate). Some of these songs would get a lot of airplay because it was something related to certain family activities: like Hannah hoping to use “It’s Only Life” for choir auditions, playing it over and over again, and then discovering that those notes were really tough to hit! Still others make it into our family history in more interesting ways. “Airbag” for instance is now not just a radiohead song, but has actually made it into the lexicon in my household. Basically, we now say the word when we refer to the overplaying of a song, as in “Ben has now officially airbagged that K’naan song”). Anyway, most of the songs on this mix are somewhere on this blog somewhere, and I’ve tried to provide links accordingly. Take a peek, click, listen and hope you enjoy. 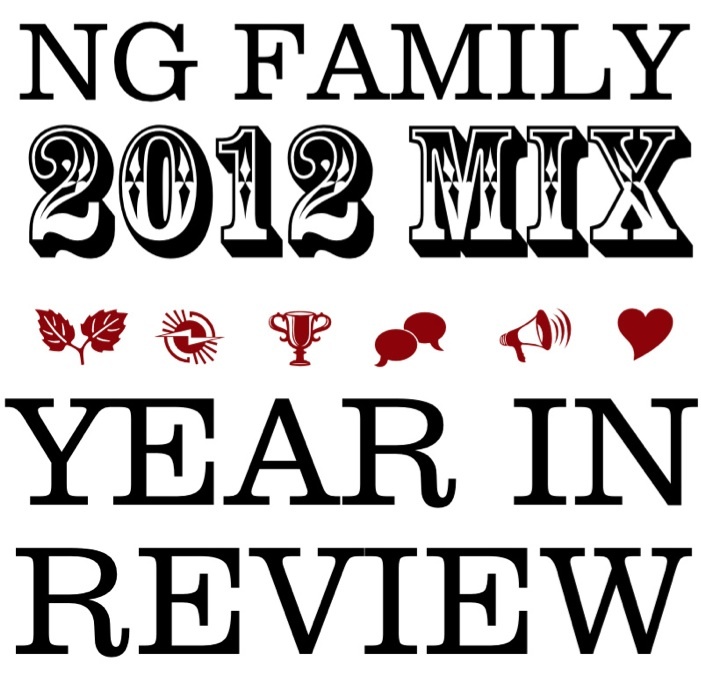 As well, I’d love to hear recommendations for songs that could make the 2013 mix. 04. Hello Sadness – Los Campesinos! 06. Welcome (Acoustic) – Hey Rosetta! 18. Big Blue Wave – Hey Ocean! – In which Kate and Dave are finally loving the dog (sometimes).